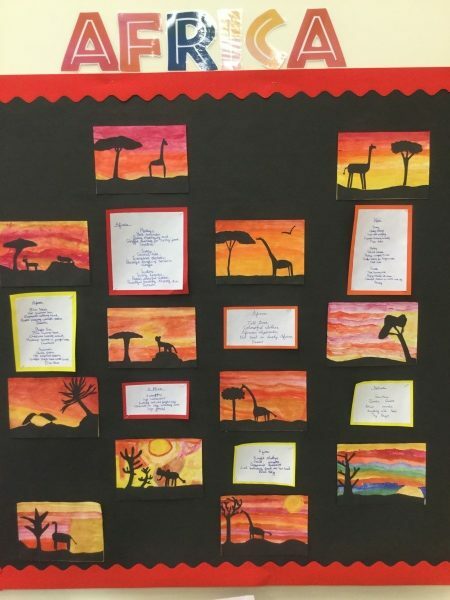 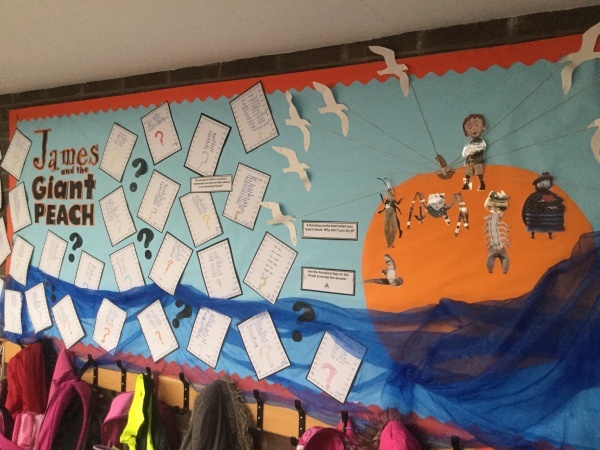 Children in KS2 have been thinking about ‘connections’. After learning about and creating the sounds of the London Underground, we created poems using metaphor and presented them in the style of a tube map. 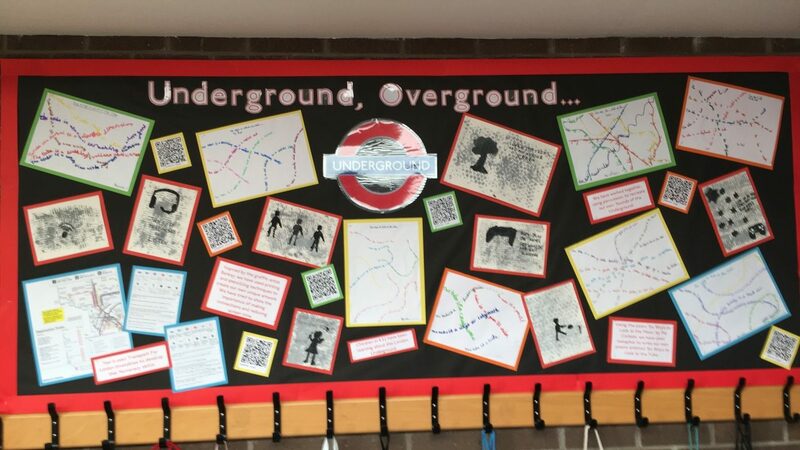 Inspired by Banksy, we created artwork with a message; encouraging people to connect in person and with the outdoors, instead of through screens! 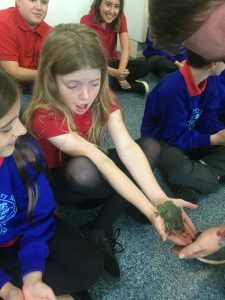 KS2 had a fantastic day meeting lots of animals to kick start our new topics. 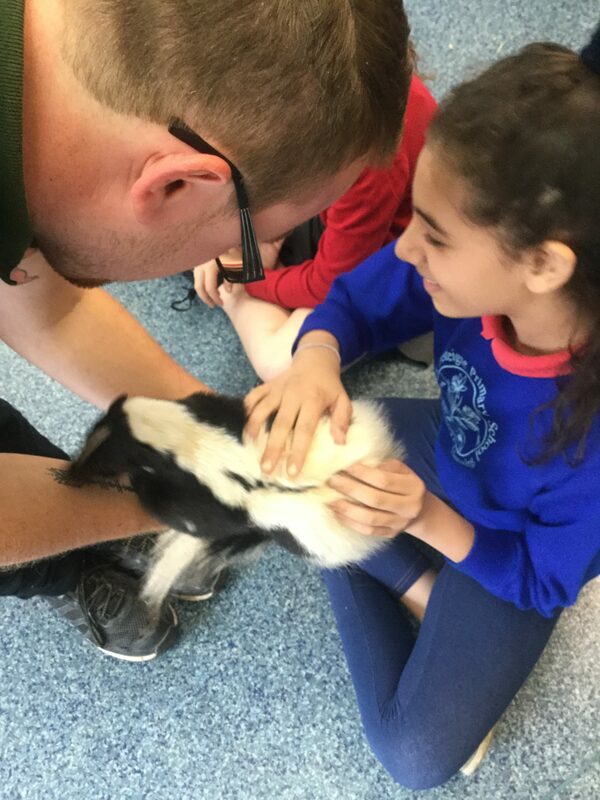 Take a look at some of the animals who came to visit! 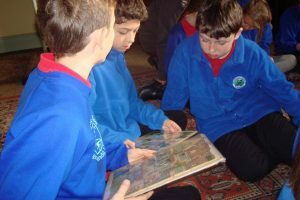 Our topic this term is…………… Don’t be Boring, Go Exploring! Our topic this term is……………’Scrumdiddlyumptious’. 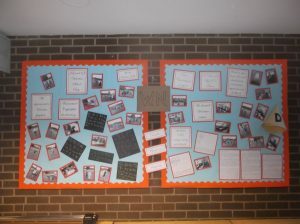 As a part of out Roald Dahl project, the children have been reading ‘James and the Giant Peach’. Year 5 and 6 have been lucky enough to have the opportunity to take part in a tag rugby after school club, run by a professional coach from Luctonians. 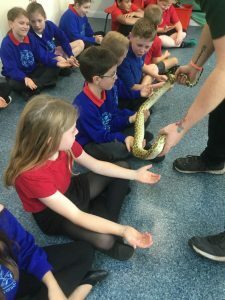 They have all really enjoyed the sessions. 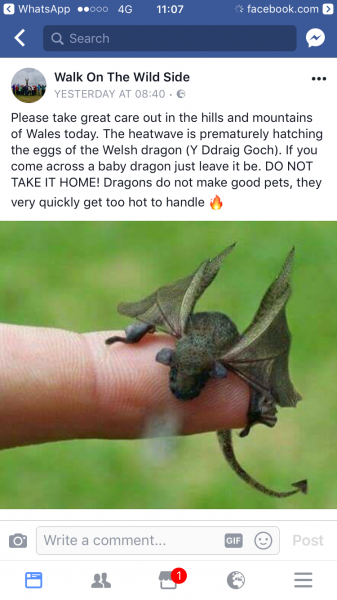 Due to the recent soaring temperatures, there has been an increase in the number of speckled egg shells found all around Wales. 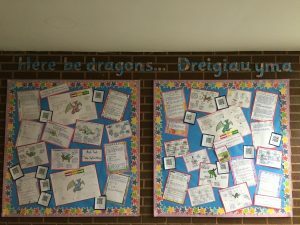 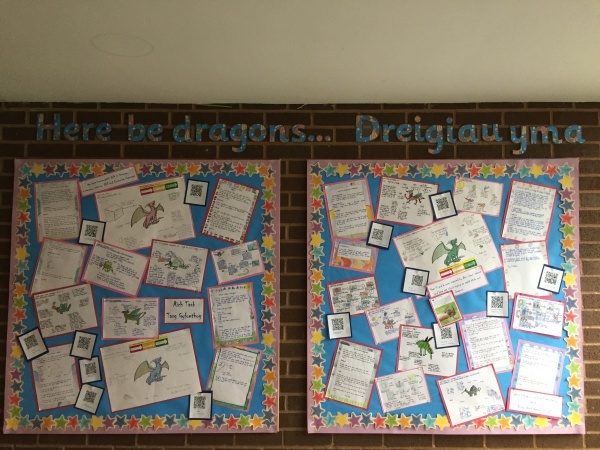 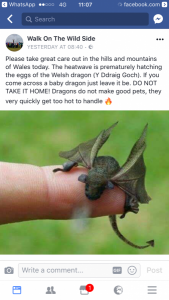 5P and 6J have been busy planning how to catch the culprits and have tried to get their hands on a real life baby dragon! 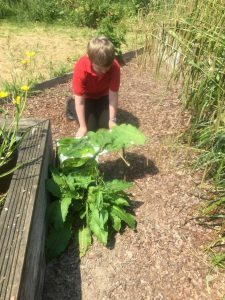 We began by planning suitable traps and locations to catch the dragon in. 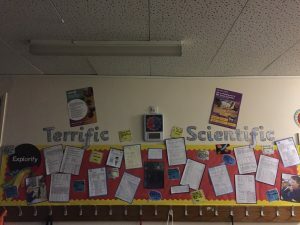 Following this, we used our literacy skills to write instructions for other people who would like to recreate our traps. 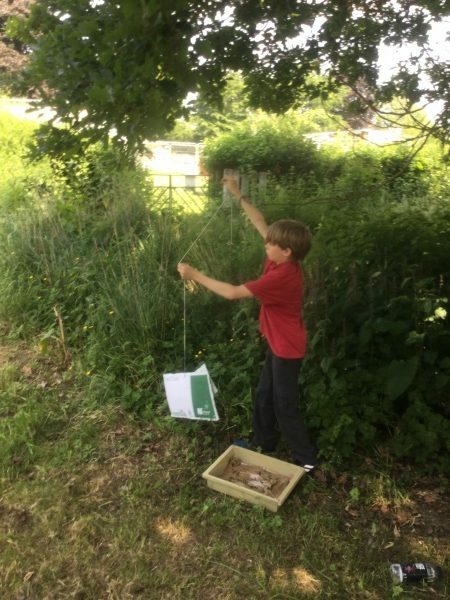 We had great fun setting our traps and night vision camera to try to catch a glimpse of the creature. 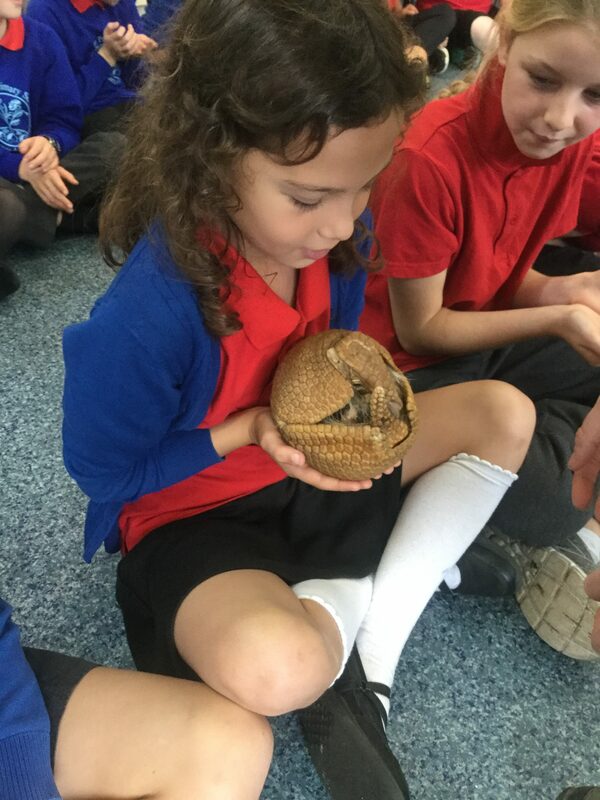 This project has given us the opportunity to use our numeracy skills to work out how to care for the dragon and to learn all about adaptation for environments. 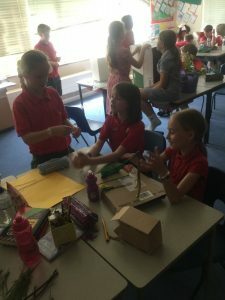 We are now busy working on green screen news reports. 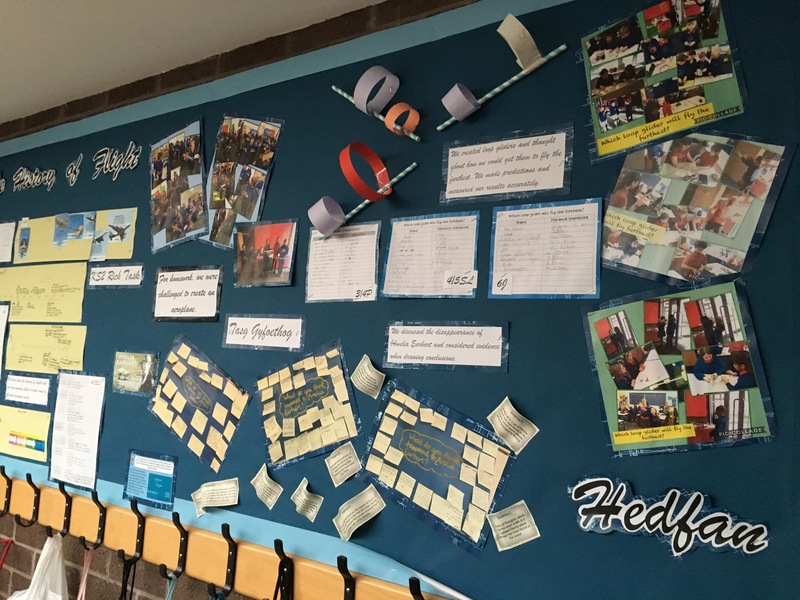 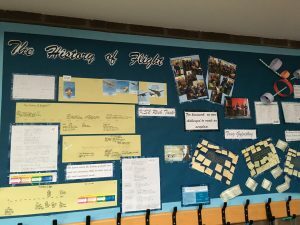 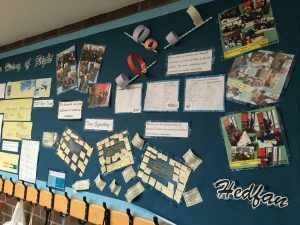 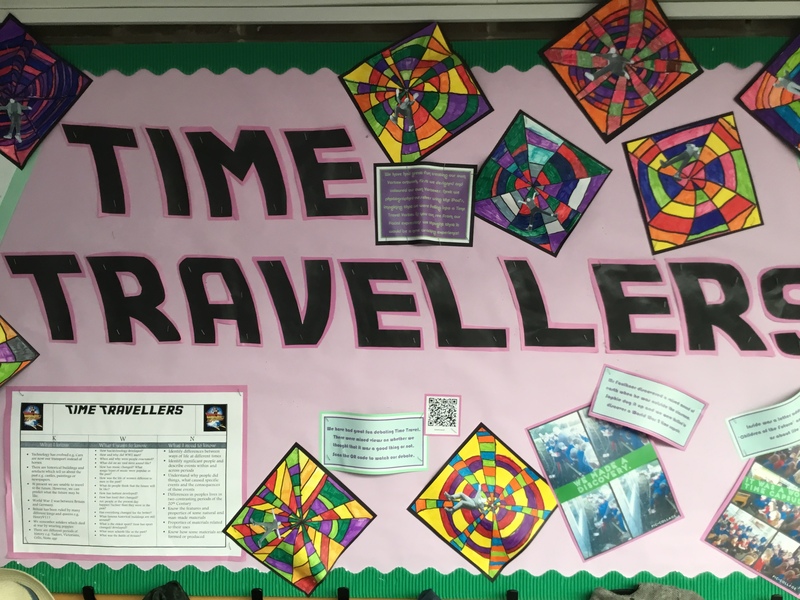 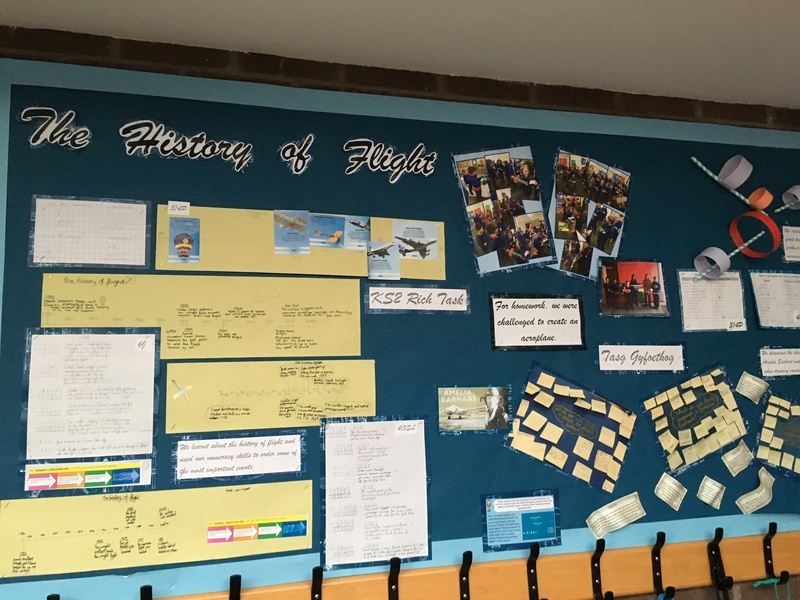 UPDATE: Take a look at our display of our fantastic work! 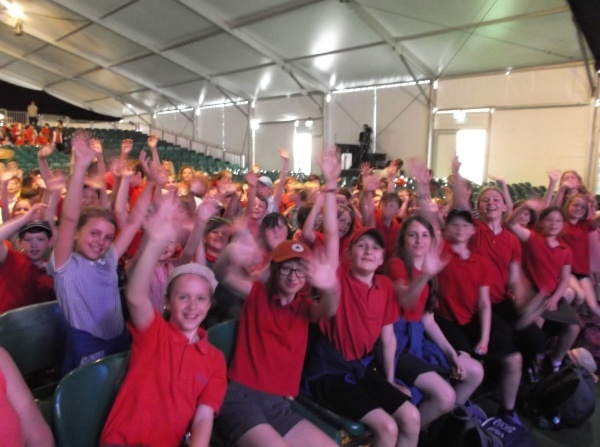 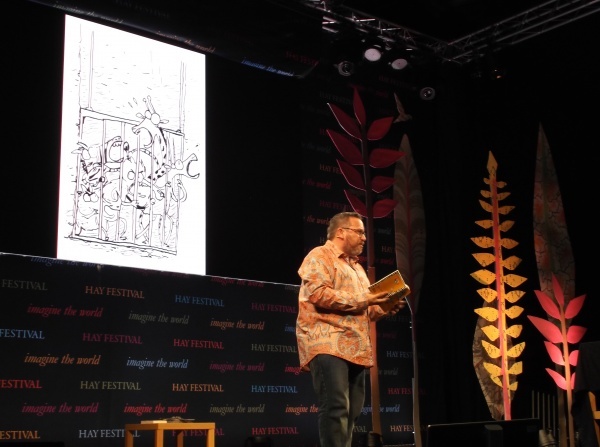 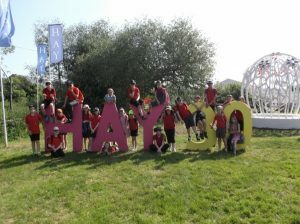 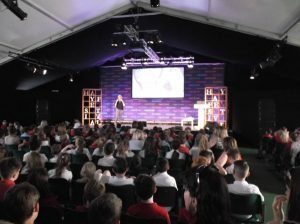 5P and 6J had a fantastic time at the Hay Festival (despite the hot weather and the long wait for the bus!) 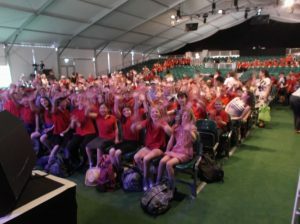 We enjoyed watching three fantastic shows by Scientist Steve Mould, Cartoonist Gary Northfield and Writer Emma Carroll. 5P and 6J joined together to take part in the BBC Live Lessons Terrific Scientific! We had great fun finding out about how we taste food and investigating how many tastebuds we have! We found out about life as a Victorian child at Christmas. 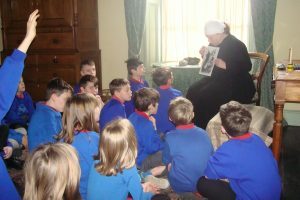 We looked at toys of the rich, and toys of the poor. 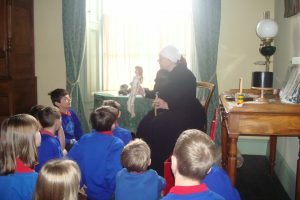 These dolls belonged to children in the Presteigne area. 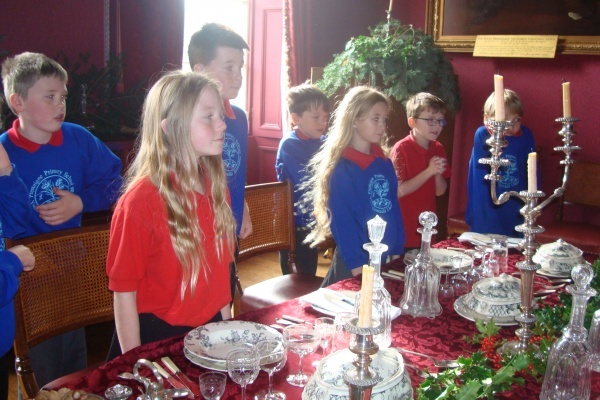 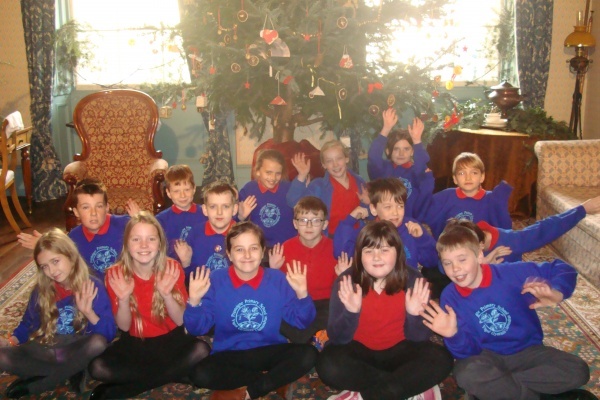 We found out how Victorian people decorated their homes at Christmas. Christmas dinner as a rich Victorian. 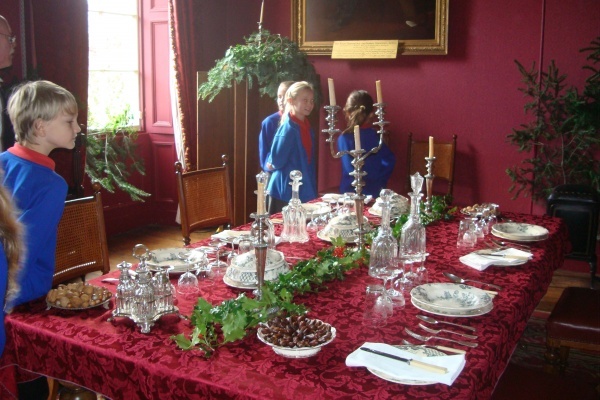 Playing Hunt the Thimble in the dining room. 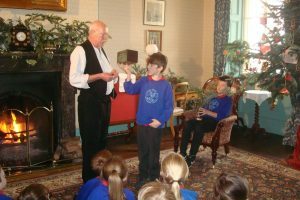 Year 5 and 6 enjoyed our theme day. 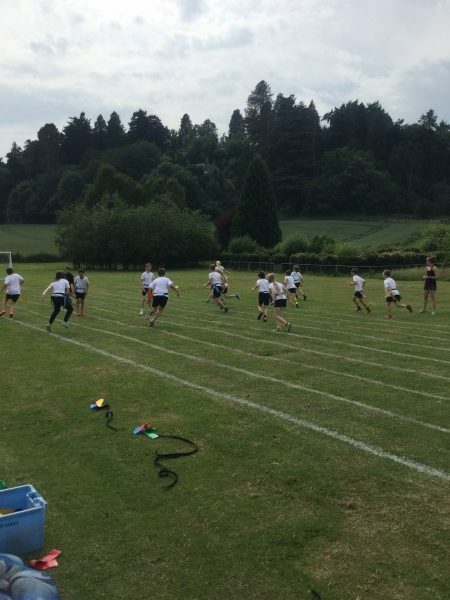 Here we are using copperplate handwriting and doing Drill.